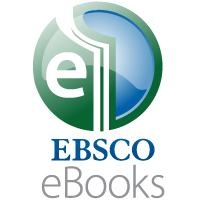 eBooks The EBSCOhost database contains full-text electronic books in in the area of social, humanitarian, nature, technical sciences, etc. Access is available from any IP address via personal account. The OAPEN Library contains freely accessible academic e-books, mainly in the area of humanities and social sciences. Access is available from any IP address. SpringerOpen is portfolio of over 200 peer-reviewed, fully open access journals and over 500 open access books covering all areas of science, technology, medicine, the humanities and social sciences. Searching SpringerOpen Access is available from any IP address. Skillsoft is a global leader in digital training for eBooks in English. This DB subscribes to the ITPro, BusinessPro and FinancePro book collections. Topics: IT, Business and Finance. Access is available from any IP address.